Facebook has just announced that they are acquiring WhatsApp, one of the most popular mobile messenger app worldwide, for $16 Billion in cash and stock. 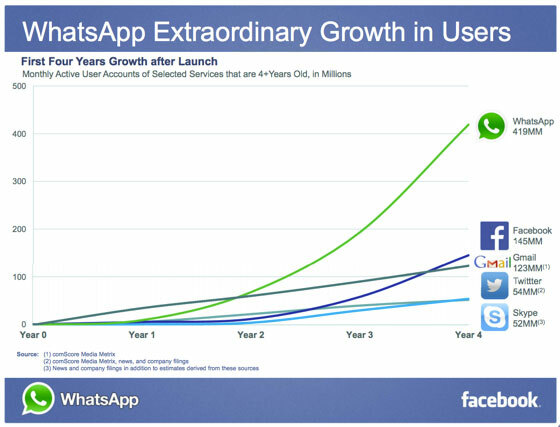 WhatsApp has over 450 million users each month, with 70 percent of those users active on a given day. WhatsApp co-founder and CEO Jan Koum will join Facebook’s board of directors, but his team will remain stationed in Mountain View, California.